With a focus on engaging consumers with the use of artificial intelligence (AI) and other healthcare technologies, the fifth-annual Connected Health Summit is set for August 28-30 at the Manchester Grand Hyatt in San Diego, with Care Innovations® Chief Information Officer Himanshu Shah enlisted as a featured speaker. Sponsored by International research firm Parks Associates, the Connected Health Summit was launched in 2014 to more fully tap into the variety of benefits offered by “connected health technologies, independent living solutions, and adoption of security and smart home products,” per event organizers. “Connected Health Summit: Engaging Consumers analyzes the role of innovative connected health solutions in driving changes in consumer behaviors as well as healthcare systems, insurers, and hospital networks,” organizers add. 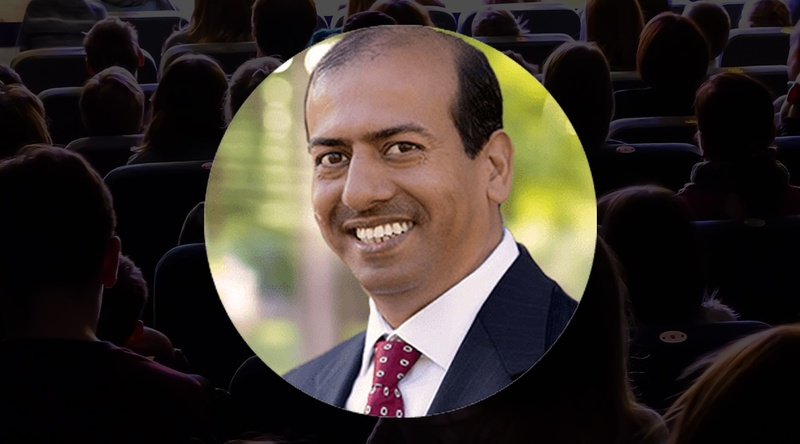 Also serving as member of the Connected Health Summit Advisory Board, Himanshu is well positioned to share real expertise on how connected health networks and technologies can directly improve outcomes and the lives of patients in every corner of the United States. “We have first-hand experience witnessing the improved outcomes of people living with diabetes through education and technology intervention,” he has stated in his advocacy of a comprehensive platform-as-a-service model of telehealth. Integrating a variety of telehealth networks and technologies into a single, turnkey service designed to engage patients and improve outcomes, such a model is “an important offering in today’s technology rich healthcare market, enabling the customization and hosting of remote care and patient engagement solutions,” he added. Care Innovations has long promoted patient engagement as a primary element of any successful healthcare delivery plan, designing the groundbreaking Health Harmony remote patient management (RPM) platform around the concept of promoting the kind of positive behavior change that improves outcomes. Knowing that engaged patients experience better health outcomes and incur lower costs, the goal of patient engagement is to provide patients, families and their caregivers with all the tools, information, and motivation they need to take better care of their long-term health. For instance, Health Harmony offers patients a consumer-friendly app resembling the smartphones and tablets in such prevalent use among Americans today (yes, even with seniors). The app helps people track vital signs, medications, appointments and other important milestones and events, while also providing interesting content about exercise and recipes, and even coupons for healthy food options. The goal? Better engaging people with their own health means fewer trips to the doctor or checkups, improving quality of care and patient satisfaction while reducing costs for payors and providers. Read more about how our telehealth solutions promote patient engagement and positive behavior change here. Himanshu is just one of an impressive lineup of industry experts recruited by Parks Associates to help drive greater industry awareness of the need for technology-centered patient engagement solutions at the 2018 Connected Health Summit. For more information about the Connected Health Summit, visit www.connectedhealthsummit.com or follow the event’s Twitter page here. To learn more about how remote care can empower patient engagement, we invite you to contact us here to schedule a complimentary consultation with one of our telehealth experts.